Yesterday we published Part I examining the tight races at the top of the WCC and Atlantic 10. Today in Part II we will take a closer look at projected two-horse races of the Ivy League and MAAC. Who they are: Last year’s very good Princeton team lost only two Ivy League games. The only issue for the Tigers was that Yale, which lost only one Ivy League game, was even better. But while the Ivy League champion loses many of its best players and should fade from the title picture, Princeton returns every key contributor plus Hans Brase — a player who averaged 11.0 points and 7.5 rebounds in 2014-15 before an injury caused him to sit out last year. Henry Caruso is a potential Ivy League POY, Spencer Weisz isn’t far behind him, and sophomore Devin Canady had the best offensive rating in the conference last year. Princeton is not a difficult team to project: the Tigers will run smart, efficient offense with good outside shooting, play sound defense, and certainly won’t beat themselves. Why they will win: Because teams that go 10-2 in conference play and come back even better the next year generally win their conferences. Consider this: KenPom ranks Princeton 35th nationally, ahead of the likes of Connecticut and Texas. The Tigers are going to be really good. Head coach Mitch Henderson has been building toward an NCAA Tournament berth for a few years now, and this is the season where he will make it happen. Who they are: While Princeton boasts continuity and predictability, Harvard, starting with its newcomers, gives us tantalizing possibility. The Crimson’s freshman class is ranked 12th nationally, with four top 100 recruits arriving in Cambridge. Siyani Chambers, who has earned first or second team All-Ivy in each of his first three years, returns after missing all of last season with a torn ACL. Senior center Zena Edosomwan didn’t have a consistently dominant junior year, but his 23 points and 14 rebounds against BYU and 25/11 versus Oklahoma showed what he can do. Sophomore guard Corey Johnson brings his 10 points per game back to the lineup. It is true that Tommy Amaker lost every wing from his roster, but top 100 freshman Robert Baker Jr. is a long, hyper-athletic replacement, and top 100 freshman Seth Towns led the state of Ohio in scoring. Harvard will probably be okay. 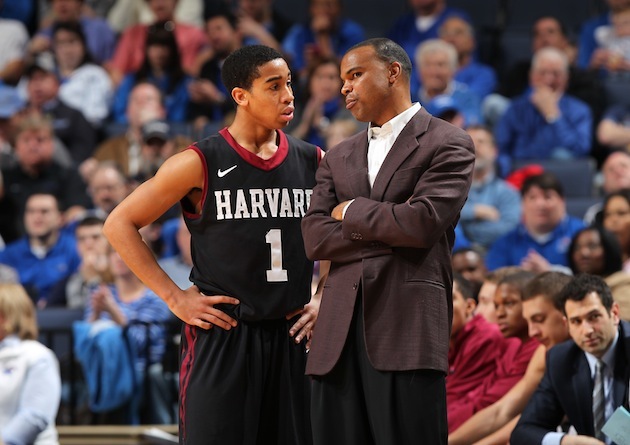 Why they will win: Close your eyes and dream with me: Chambers has his best season yet; Edosomwan averages a double-double; Johnson makes The Leap in his sophomore year; a few of the Ivy’s best recruiting class ever start producing immediately; Tommy Amaker gets his squad back in the top 50 for defensive efficiency. That’s a borderline Top 25 team nationally. Why they will lose: All of these ifs can be turned around pretty easily, and the truth is that Chambers has quietly regressed every season since his stellar freshman year. The margin for error will be minimal in the Ivy League with Princeton a lock to be very good as well. Third team that could spoil it all: Yale. The Bulldogs lost so much from last year’s near-Sweet Sixteen team, but Makai Mason is easily the best scorer in the league and it would be foolish to count his team out entirely. Who they are: Non-conference wins over USC, Notre Dame, UCLA and Georgetown along with its bench’s antics launched Monmouth basketball into the media stratosphere, but the clock struck midnight on the Hawks when they lost to Iona in the MAAC Tournament finals. The core is back this season and looking to improve on an NIT bid. Justin Robinson is one of the best offensive point guards in the country, and Micah Seaborne and Oklahoma transfer Je’Lon Hornbeak are more than capable of scoring too. Head coach King Rice likes to run up-tempo offenses, and this year’s group should be one of the fastest in the country. While some of last season’s big wins lost their luster over time, Monmouth has proven that it is capable of both big-time wins and big-time losses (three losses to sub-200 ranked teams, per KenPom). If the Hawks have learned their lesson and avoid laying eggs this year, it will be hard to keep them out of the NCAA Tournament. Why they will win: They have a very high ceiling and they will be hungry to put last year’s disappointment behind them. Also, Justin Robinson scored 30+ in just two games last year, and both came against Siena. That bodes well. 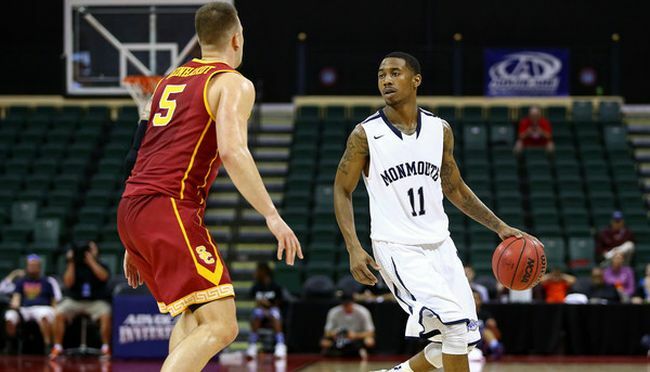 Why they will lose: The dirty little secret of Monmouth’s high-powered offense is that it isn’t very efficient. If the Hawks’ shots aren’t falling, expect to see more scores like “Army 91, Monmouth 84” and “Canisius 96, Monmouth 86”, making this team an entertaining sideshow but nothing more. Who they are: You’ve heard of Monmouth out of the MAAC, but Siena might be better. Star forward Brett Bisping is the real deal, averaging 15.0 points and 10.0 rebounds per contest last year. Lavon Long is more than capable of a double-double himself, and Jevion Ogunyemi, besides being the reigning MAAC DPOY, is the rare breed of forward who gets more offensive rebounds than defensive ones. The combined forces of these three players gave Siena the sixth-best offensive rebounding rate in the country, and they’re all back for one last hurrah. The Saints also had a tendency to turn the ball over (sixth nationally), neutralizing the success of their elite offensive rebounding and limiting the team’s offensive efficiency. If at least one of their primary ball-handlers, such as Nico Clareth, can make a leap in cutting down on turnovers, this team is going places. Why they will win: KenPom’s preseason rankings list the Saints (#84) slightly higher than Monmouth (#94). Bisping and Clareth are both capable of putting the team on their backs, and Siena will be one of the most experienced groups in college basketball. Why they will lose: There’s no reason to think Siena’s defense will be anything more than average, and Jimmy Patsos needs to see a big jump in quality from their guards. Also, the Saints lost to Monmouth both times the two teams met last year, and neither figures to have new contributors. Third team that could spoil it all: Iona. AJ English is gone as well as three other seniors, but Jordan Washington and Shadrac Casimir are back as Iona looks to rebuild on the fly with several transfers. Tim Cluess is definitely capable of a quick recovery, but the new-look Gaels have to prove it on the court before they become one of the MAAC favorites this season. This entry was posted on Thursday, November 3rd, 2016 at 8:01 am by Will Ezekowitz	and is filed under microsites, other 26. Tagged: harvard, ivy league, maac, monmouth, princeton, siena. You can follow any responses to this entry through the RSS 2.0 feed. You can leave a response, or trackback from your own site.